Dazzling Divas is the 6th Extra Booster Set in Japanese Format, and 4th released in English. There are a total of 35 different cards (2 RRR, 5 RR, 8 R, 20 C + 6 SP) and 2 reprinted cards. This pack features Bermuda Triangle cards. 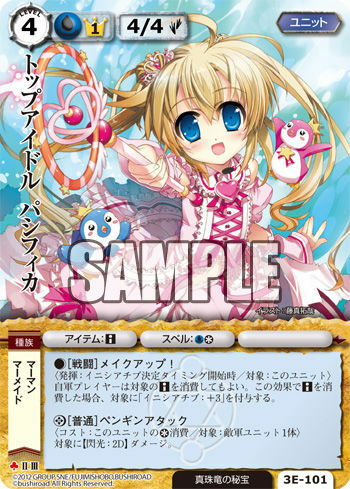 Each Japanese sealed display box includes 1 Monster Collection TCG version of Top Idol, Pacifica. Introduces the first Break Ride to the English format. Each English sealed display box includes 1 Eradicator, Spark Horn Dragon.